"Thanks!" 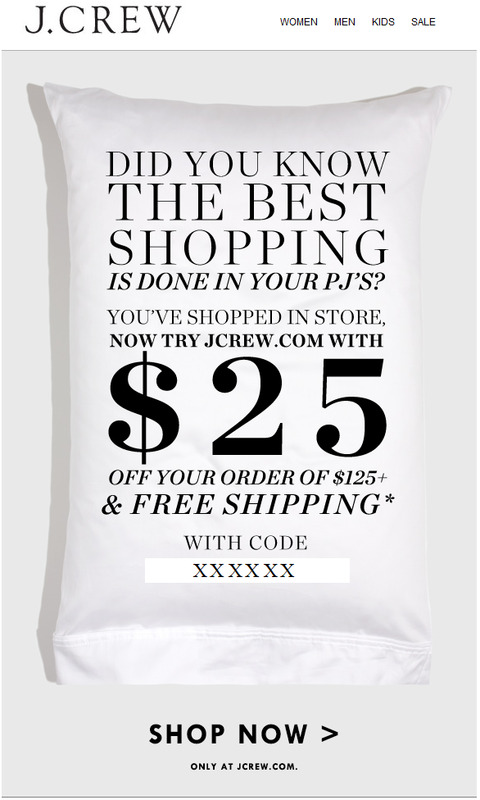 to many of you, including A, who shared the following email/ promotion from J.Crew today. J.Crew is offering customers $25 off their purchases of $125+, as well as free shipping, with a unique (one time) promo code. This offer expires September 3, 2014. This code is being sent to customer through an email. So double check your email account (and SPAM folder) to see if you got this offer! It's too bad J.Crew does not allow for codes to be stacked because this would be a great deal with the current 40% off promotion.